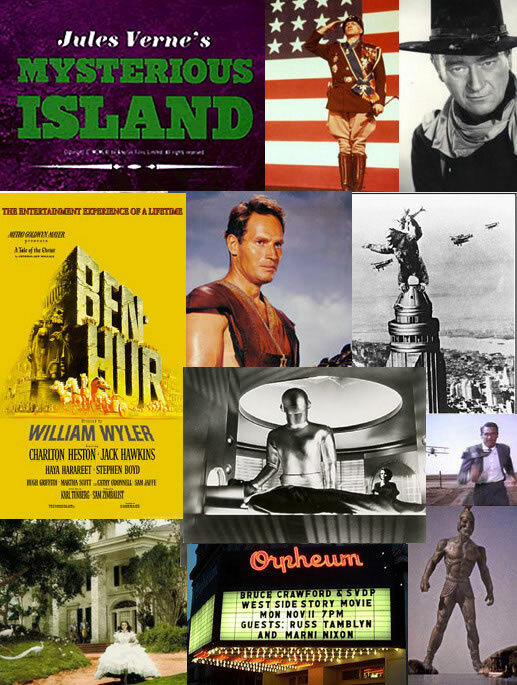 Omaha Film Event is the home for information about the film events produced by Bruce Crawford. Crawford's passionate advocacy of cinema's greatest moments has provided moviegoers in Omaha and elsewhere with evenings they won't soon forget. Click here for more information about his many past successes. "Bruce..thanks for all you do to preserve and respect the American Movie. You have done a wonderful job and it is no wonder Leonard Maltin thinks so highly of you." CEO and Director of the American Film Institute. "Bruce, you have definitely created a prestigious and equally fun cinematic environment." - Todd Wiener, Motion Picture Archivist/UCLA Film and Television Archive. Bruce Crawford's film events have helped put Omaha and the Midwest in a positive spotlight for the prestige and fun of honoring the greatest films and filmmakers in Hollywood's history. These films represent what, at one time, was considered THE standard of quality in filmmaking. It is in this spirit that these events are dedicated. Below: Some images from our film event celebrations over the years. "Film buff supreme Bruce Crawford has been staging wonderful film events in Omaha for quite some time, with these enchanted evenings he's put together, with a number of celebrity participants as special guests." Leonard Maltin, Film Critic, Historian and author.